Classification increases planning certainty for exhaust gas scrubber operators. The classification society DNV GL has certified the SAACKE exhaust gas scrubber based on soot separation using a dry process. This ensures that the innovative system, which was initially installed in 2013 on the tanker MT Levana, owned by the Carl Büttner shipping company, can now be operated without restriction. "Many scrubbers manufactured by market competitors currently operate with special permits. This means that the operator is exposed to the risk that the investment may not pay off. The classification of our patented scrubber gives the operator financial planning certainty", explains Peter Breidenich, Business Director SAACKE Marine Systems. 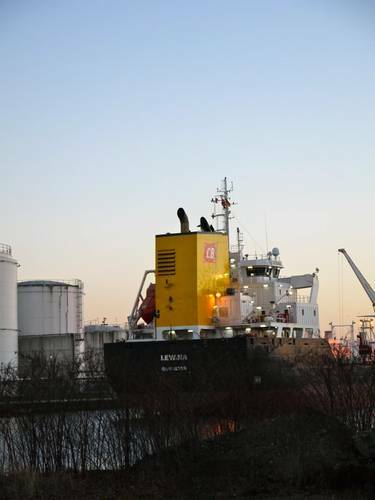 The reason for the increased demand for scrubbers is that the International Maritime Organization (IMO) has ordered the gradual reduction of the sulfur content in exhaust gases. Accordingly, from the start of 2015, the specified value can only be met by diesel fuel with a sulfur content of 0.1 percent in the emission control areas (ECA), including the North and Baltic Seas. Globally, the limit outside the ECAs will be reduced to a sulfur content in fuel of 0.5 percent from 2020. To achieve these goals, an exhaust gas scrubber can be installed, rather than the costly use of low-sulfur fuel. The SAACKE exhaust gas purification system basically consists of the sulfur scrubber and an upstream soot separator, the VentSep. This ensures a significantly lower sludge formation as a result of soot residue in the washing water. The VentSeps also contribute to a considerable reduction of the pollution rate in the exhaust gas boilers. In addition, the SAACKE scrubber, which can operate in both an open loop and closed loop (as a hybrid system), attains a sulfur reduction of up to 99 percent. "Given that this is a prototype, the classification process took about a year", sums up Peter Breidenich. In this period, the strict compliance with the IMO limit value was investigated and compliance with the safety regulations for the superposition of exhaust gas flows was confirmed. "However, the classification process should be much shorter for future installations, as the plant equipment on the MT Levana is already extremely sophisticated, which makes the expansion of the connected exhaust gas system fairly unlikely", says Breidenich.